From award ceremonies and film premieres to graduation balls and weddings. Your special occasion deserves special attention. I cater for a range of individual occasion requirements, tailoring the package to suit your needs and your budget. From my own experience of working on and in TV, public speaking events and being a military wife with the opportunity to attend numerous formal occasions, I know a thing or too about finding the perfect look for a special occasion. Factoring in your location, wedding venue, theme, budget and personality, together we can create a bridal styling package to suit your requirements and exceed your wedding dreams. A bridal image consultation begins with a colour assessment. From the tone of your dress to the flowers you carry and what you wear in your hair, colour matters. A colour consultation for your bridesmaids will also help you determine the best colour bridesmaid dresses too. The consultation includes a consideration of your body shape and the wedding dress shapes that’ll suit you best. Waste less time in the fitting room in that tight window called a wedding dress appointment. Select only the shapes that suit your body, then just wait for the wow dress to greet you in the mirror. The bridal style consultation will also address the accessories that you will carry best. Wear a veil because it suits your look not because someone said you should. Find the right jewellery for the neckline of your dress and your collarbone. Choose the right earrings for your face shape, hair and detail in your dress. A bridal image consultation will enlighten your wedding dress decisions and allow you to be brave and decisive in your choices. I also host bridal image consultations for grooms and mothers of the bride. In all instances, we follow a similar process of style assessment and outcomes. On a day as special as your wedding day, wearing the suit, dress, hat or outfit that best suits your body shape, colours and personality is imperative. The lessons you’ll learn from this consultation can be carried into your everyday wardrobe. Grooms often tell me they’ve gone on to revisit the suits, shirts and ties in in their wardrobes. While I’ve helped many a mother of a bride reconsider their optimum skirt length, most flattering neckline and jacket style. 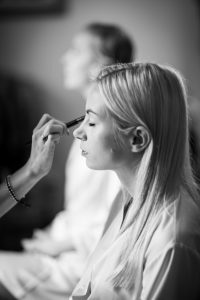 A bridal make-up consultation can be a special session just for you or a group session with your bridesmaids and perhaps the mother of the bride too. Your wedding make-up is the ultimate confidence creator on your special day. Together we can discuss make-up looks that you like, how you wear and apply make-up daily and which products you prefer. We can also explore alternative products to give you the confidence that your look will last all day and be easy to touch up. We can also explore skincare products and techniques to get your skin in the best condition possible ahead of your big day. Whether you’d describe yourself as having problem skin, sensitive skin, mature skin or dry skin, we’ll find a solution for you. I work with Mary Kay products to improve skin condition and provide a natural, confidence instilling look. Why not consider having a colour or shape consultation as part of your hen do. Share the secrets of your new look and your wedding day style with your closest friends. I’ve had lots of fun joining groups in their hen do holiday cottage for an afternoon of styling revelations and giggles. 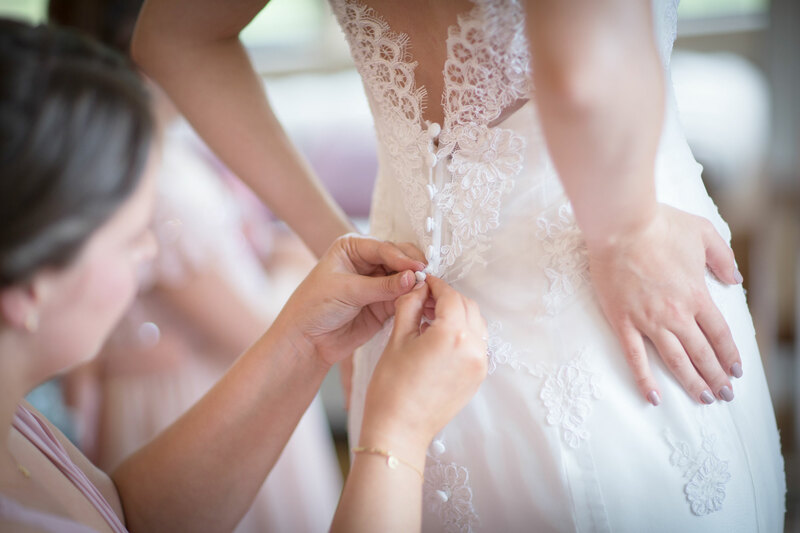 A personal shopping experience for brides, mothers of the bride and grooms often helps clarify what styles and looks best fit the wedding theme. A shopping session also focuses the exercise, because as exciting as wedding dress shopping is, it’s also very exhausting and time consuming. With so much choice on offer, shopping for wedding outfits can also be overwhelming for all involved. I help take away the stress of wedding outfit shopping. If we’ve done your colour and shape consultation beforehand even better; we can get started straight away. All my bridal personal shopping clients are given inspiration and shopping boards including outfit suggestions. Leave the research and appointments to me, so all you have to do is turn up on time. I’ll research, arrange and attend local boutiques or dress shops in your chosen location. Together we use your boards to find the dresses and outfits to try on until you find the one for you. Weddings are fabulous, but wedding planning is time consuming and can be stressful. Make sure you enjoy every second, without any stress. I’m here to help you look great, feel fabulous and far from stressed! £variable – let’s build a package to suit you. If you’d like to find out how a style session can be tailored to you and your wedding party please drop me a line to find out package prices to info@lindsaypunchstyling.co.uk or contact me here.